This is a genuine BMW Motorsport part, designed specifically for BMW racing applications. We use this exact thermostat setup in our Championship-winning E46 330i race car. It is designed to be used on all M54 and M52TU double-VAN0S engines, as used in the 1999-2000 E46 323/328 and 2001-2005 E46 325/330. 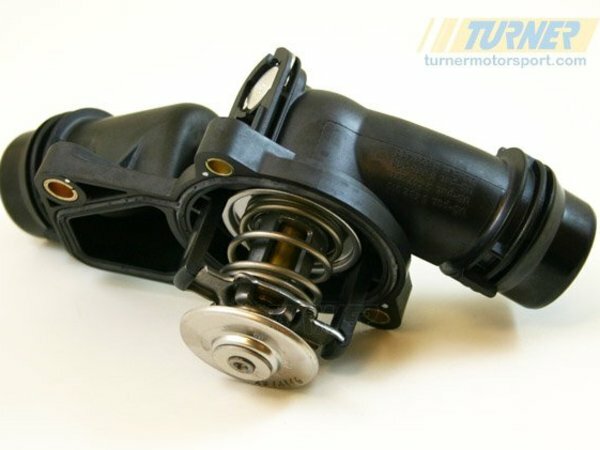 This 60 degree C (140 defrees F) thermostat comes complete with plastic thermostat housing. It does not use the plug and wiring for the stock DME so this should only be used with an aftermarket engine management system (Motec, Bosch, etc).